If you live in the Edgewater neighborhood of Miami and you were injured in an Uber car accident, then you should find the best Uber accident lawyer you can find to discuss your accident and your legal rights. If you have any doubt, then you should at least obtain a free consultation with a Miami car accident lawyer. Car accident claims can be complicated. Uber car accident claims have the potential to be even more complex because of insurance coverage issues. At the Wolfson Law Firm, our Miami Uber accident attorneys are available to answer your questions in a free and no obligation consultation. You only need to call us at (305)285-1115 to discuss your Uber accident and injuries. Since 1963, our Miami car accident lawyers have answered questions and represented the folks of Edgewater in Miami and all over South Florida for their personal injury claims in all types of incidents and accidents. We can assist you in recovering the cost of your medical bills, any loss of earnings, and financial compensation for your pain, suffering, harms and losses. Our law firm offers full personal injury litigation representation for anyone injured by the negligent or intentional acts of others. In Miami, the Edgewater neighborhood is located on the east side of Miami – Dade County. Edgewater along with Wynwood are considered part of Midtown Miami. It is situated just north of downtown Miami. It is one of the highest population density areas in South Florida because of the concentration of high-rise condominiums. One of the distinctive features of the Edgewater neighborhood in Miami is the architecture of certain buildings. This this architecture is known as MiMO – which stands for Miami Modernist style. Two examples are the Bacardi Building at NE 21 Street and Biscayne Boulevard. It was built in 1963.the other example is the Miami New Times headquarters. Miami New Times is an independent news publication that covers art, entertainment, dining as well as in-depth news coverage. One of the best-loved amenity of Edgewater Miami is Margaret Pace Park which extends along the waterway just east of the high-rises. The park is a hub of activity for locals and tourists alike. It offers a dog park, volleyball, tennis, basketball, picnic areas with BBQ stations, playgrounds, free yoga classes plus Pilates, cross fit and an outdoor gym. Our clients who have been involved in Uber car accidents have suffered serious and traumatic injuries. 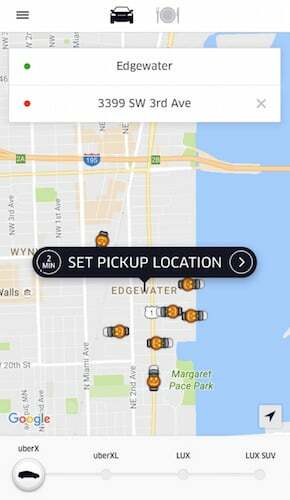 While the source of financial recovery following an Edgewater Miami Uber car accident may differ from a typical car crash, the injuries and damages are the same. It is important for you to find the best Uber car accident lawyer in Miami to assist you following an accident where anyone was seriously injured or killed. It is highly recommended that you ask any potential lawyer about their experience in representing not only injury victims but also what their specific knowledge and experience is in helping injury victims following an Uber car accident in Miami. You should do your own research online about the lawyer as well as inquiring into their qualifications in recent case results. It is up to you to make sure that you have complete confidence and comfort in the attorney that you choose as the best Uber car accident lawyer for your case. At the Wolfson Law Firm it is our task to provide aggressive and professional representation of all of our clients in pursuit of financial recovery for their losses and harms. We invite you to review our qualifications, our case results and our client reviews online. It is our goal for you to be completely comfortable in your selection of our firm as your lawyers for your Edgewater Miami Uber car accident case. 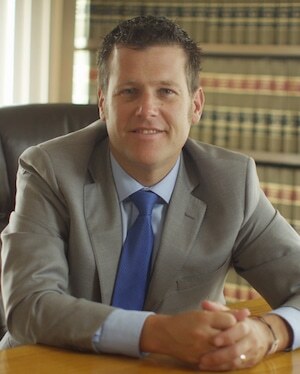 Our managing attorney, Jonah Wolfson, is a bilingual Uber car accident lawyer who serves Miami and South Florida. Our offices are located just south of downtown Miami at 3399 SW 3d Avenue in the Roads Neighborhood near Vizcaya. You are welcome to visit us at our office or if that is inconvenient we can meet you wherever is best for you. Just call us at (305)285-1115 and allow us to get to work with you so that you can get the justice that you deserve. Our Miami car accident lawyers not only represent the residents of Edgewater but also the neighborhoods and communities of South Florida such as Wynwood, Midtown Miami, Design District, Omni, North Bay Village, Brickell, South Beach, downtown Miami, Upper East Side, Surfside, Miami Shores, Bal Harbour, Sunny Isles, Aventura, Hialeah and Miami Beach.